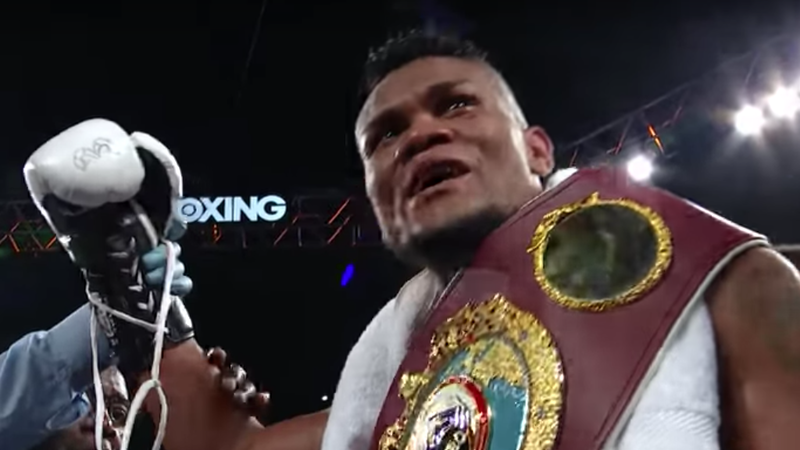 Coming into his first world title bout against Sergey Kovalev, Eleider Alvarez was the underdog, but after scoring a shocking knockout win, Alvarez feels he would have an easier time in a rematch. Alvarez admitted that he never expected to knockout Kovalev on August 4 to win the WBO light heavyweight title. Alvarez was the mandatory challenger to Adonis Stevenson’s WBC title for years, but never got the opportunity to fight Stevenson. After knocking out Kovalev in Atlantic City, Alvarez is convinced that Stevenson knew how dangerous Alvarez really is for some time and that’s why the fight never materialized. After Alvarez won the WBO title, there had been talks of a rematch against Kovalev as there is a rematch clause in the fight contract. Alvarez is not only confident that he would come out on top in a rematch, but that he would defeat Kovalev more convincingly. “In a rematch, knowing Kovalev, I would beat him more convincingly,” Alvarez said.